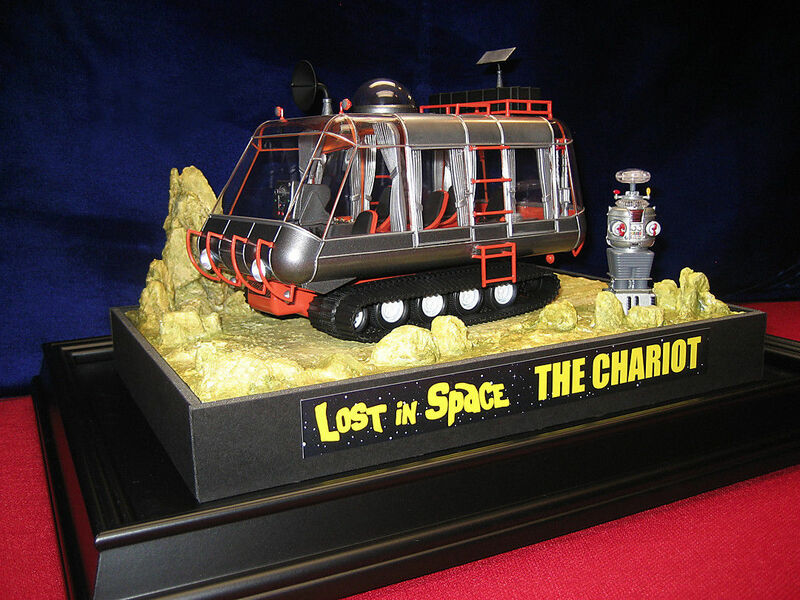 This is Moebius Model's 1/24th scale Chariot from the �60's TV series "Lost In Space". 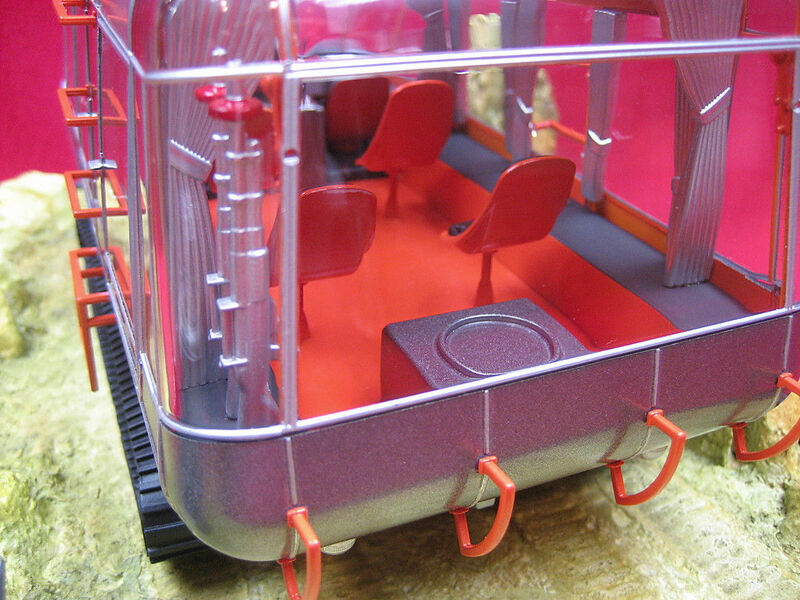 This beautiful, pro built "museum" quality model shows meticulous craftsmanship and attention to every detail. 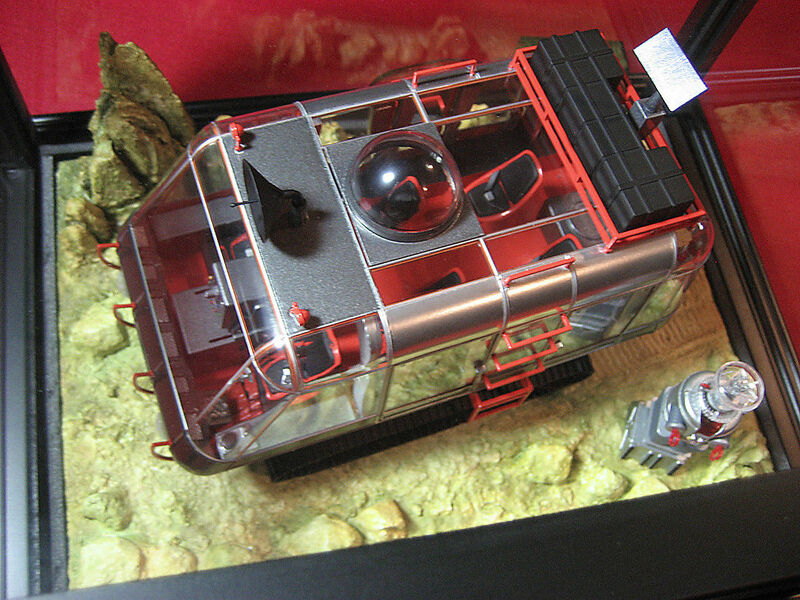 It features LED lighting for the headlights, and a custom made diorama all within a satin black, glass display case, to keep everything dust free. 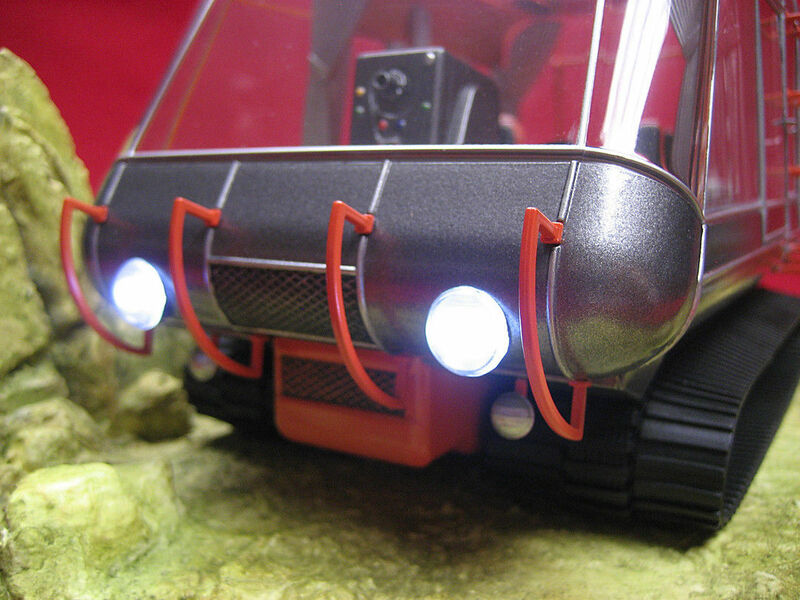 The LED headlights operate with a 9 Volt battery, and the battery box has an on/off switch. 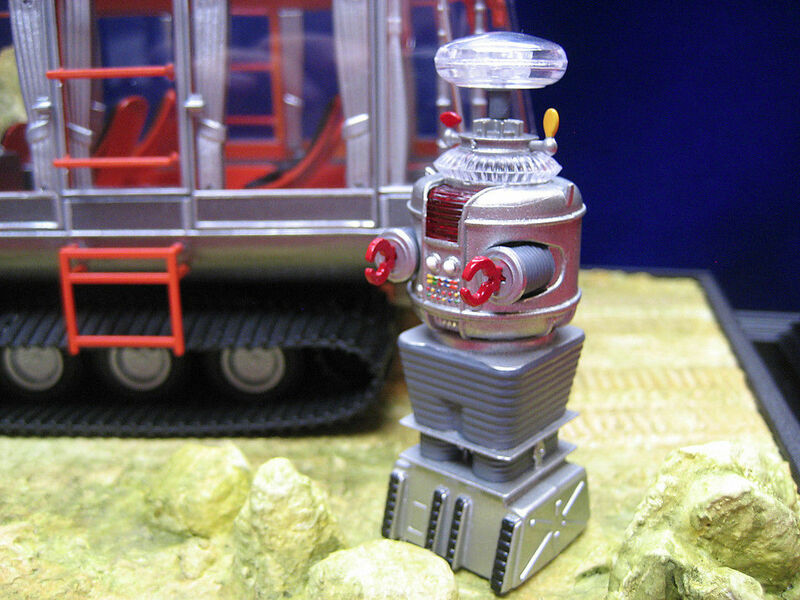 The model was carefully painted to duplicate the color scheme of the actual Chariot used on the show, as well as was the B-9 Robot! 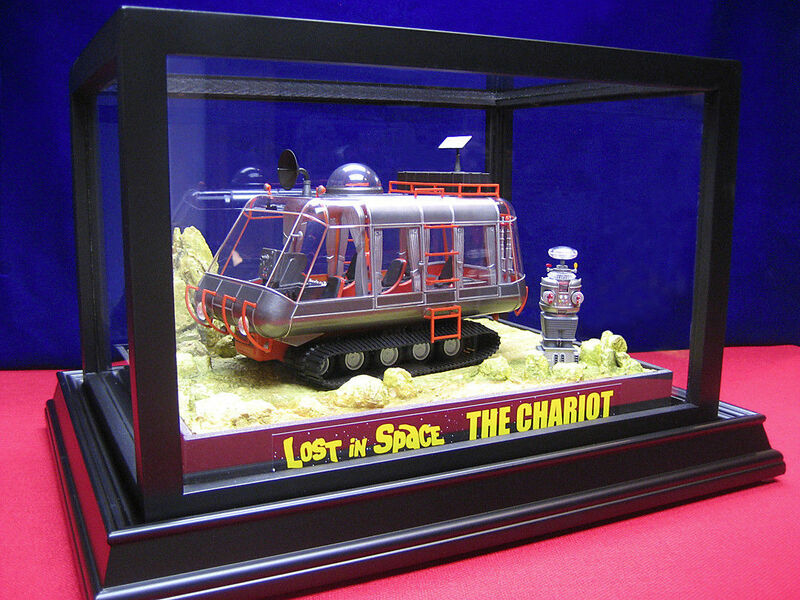 This truly stunning example of the "Lost In Space" Chariot will make any fan proud to own it!